Competition Shooting nights for every 1st and 3rd tuesday of the month. Price of each match $16.00, starts at 6pm. Minimum of 100 rounds and 3 magazines.  Eagle Eye will hold 2 Gun and Outlaw matches. Uses IDPA and general safety rules. IDPA scoring and targets. NO laser or lights unless low light match. Comps and Optics are allowed. Stages will be a mix of IDPA and USPSA that are used in many different disciplines. No magazine or handgun restrictions.